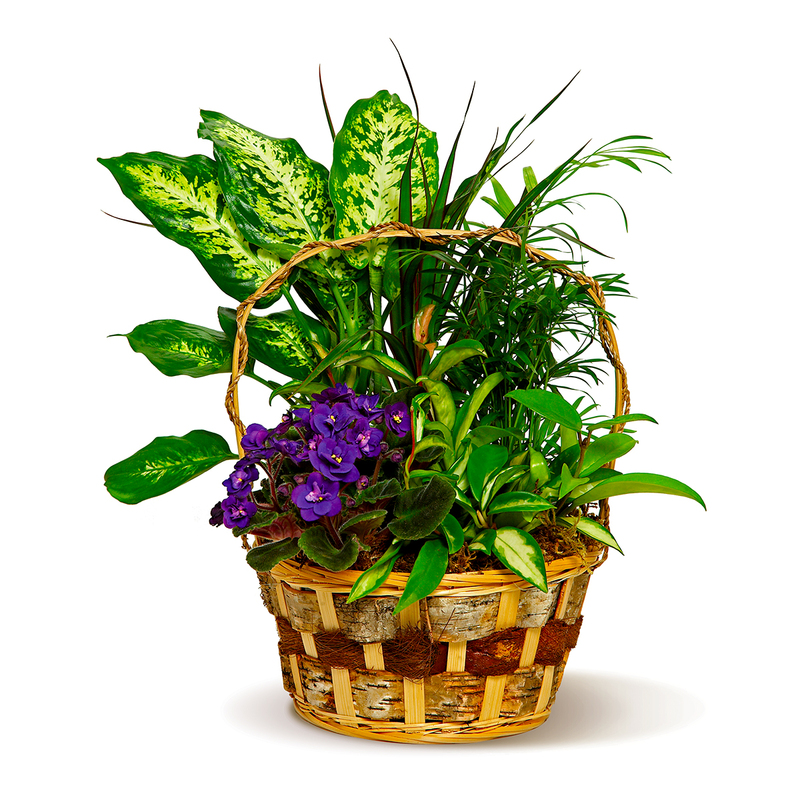 For a long-lasting, living gift, choose this appealing medley of green plants, presented in a basket! 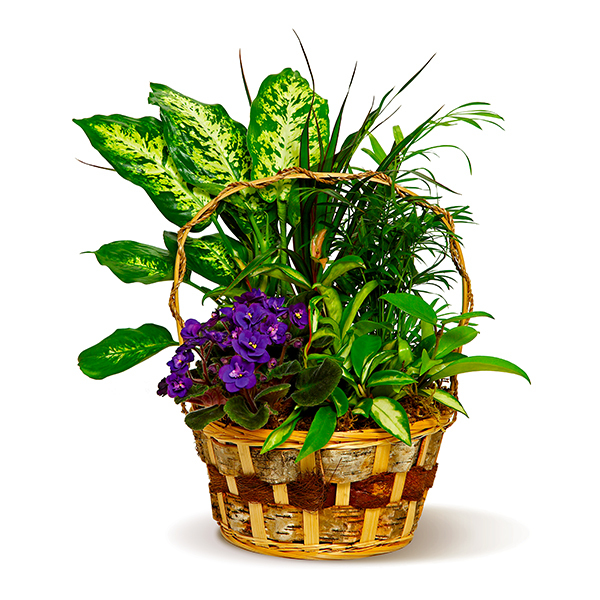 A blooming colored plant adds a splash of color. A fine offering for family, friends or business associates. Containers and blooming flower colors may vary from photo shown.